Your images in DPW will automatically have the zoom feature, where you can mouse over the image to magnify, when their resolution is greater than or equal to 600 pixels wide or tall. Keep in mind though, that your image file size must be 10 mb or smaller. You can read more about image sizes and resolution here. 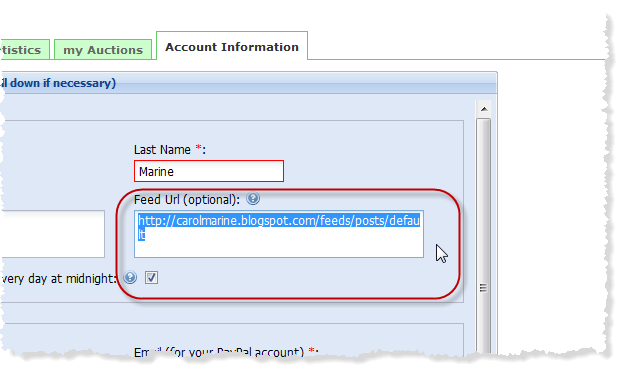 If you have a blog, and you have entered your correct blog feed URL into your Account Information page, DPW will automatically pull in your images from your blog posts, then be sure you upload large enough images to enable the zoom to your blog. Sometimes, depending on your blog provider, it is not possible to upload large enough images to your blog. If so, then use one of the following methods. You can easily and quickly manually upload new images into DPW using the Upload New Artwork button above your Art Tracking grid. You can also replace an existing image in DPW with a larger one by clicking on the thumbnail of the painting in your Art Tracking grid. This opens the image in a small window from where you can browse for and upload a new image that is large enough to enable the zoom feature. 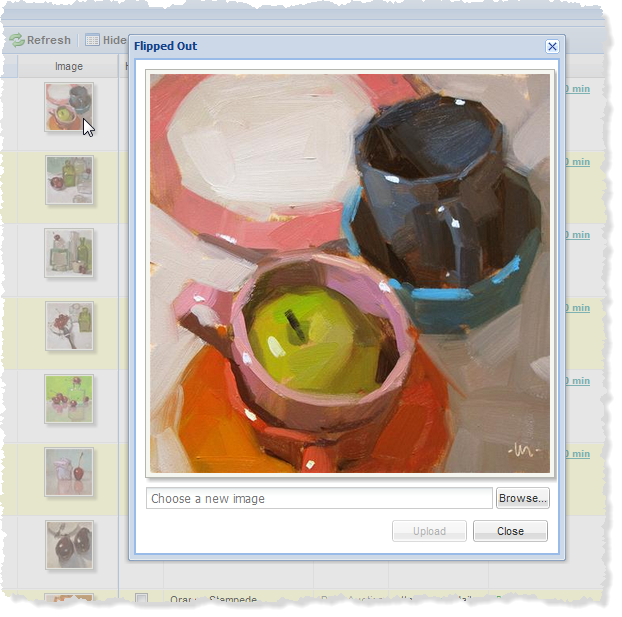 Lastly, you can also upload a larger image when creating a DPW Auction for a painting. Posted - Sun, Jan 1, 2012 at 2:25 PM. This article has been viewed 7019 times.